If you work from home, Custom Creations’ range of custom bookcases, fitted desks and custom made furniture can form a stylish home office that’s right for you. So what does an effective home office look like? Whether you use it for writing, drawing or typing, fitted desks are a core component of completing work comfortably and efficiently. Most time spent in your office will be at your desk, therefore finding one that enables optimum productivity is important. Regardless of your home office’s shape or size, Custom Creation’s range of bespoke fitted desks can be crafted for your specific needs, ensuring time in the office will be more of a joy than a chore. No matter how thin your MacBook is, having a home office with plenty of space is important when it comes to your attitude to work. A cluttered and claustrophobic work environment can cause stress and a ‘mental overload’. 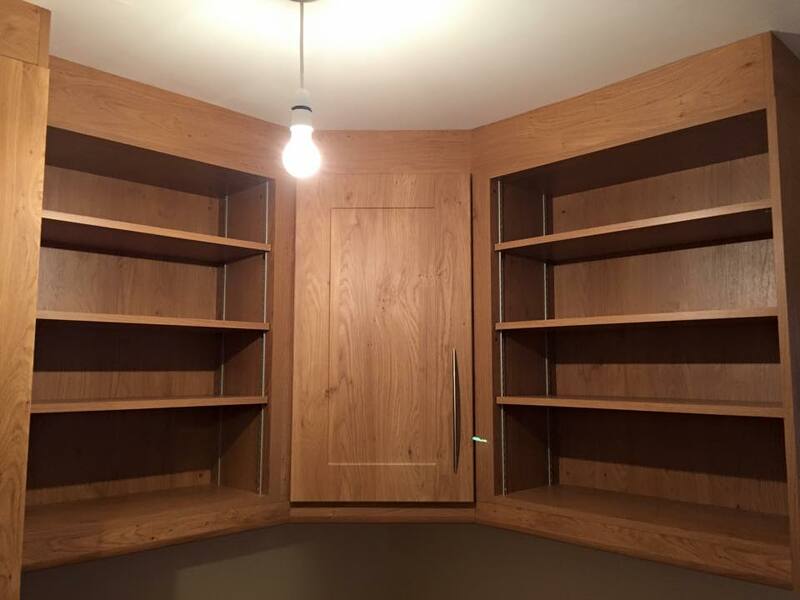 Custom Creation’s range of custom made furniture can prevent this by installing fitted desks, custom bookcases and cupboards tailored to make the most out of the space. 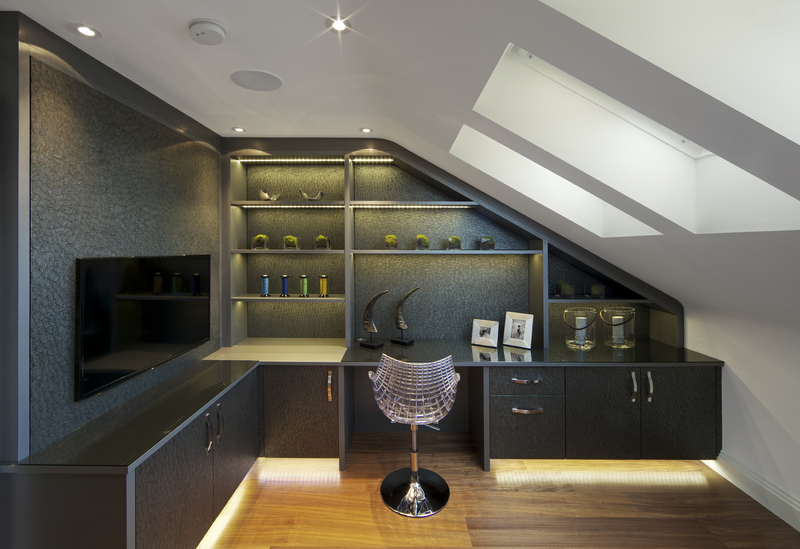 This fitted desk and shelving space made by Custom Creations gives its user the maximum space available for this compact-sized room. For those still smitten with books and paper, ensuring these remain tidy and organised is crucial to finding ‘that’ important document easily. This can be achieved by fitting a beautifully organised custom bookcase, giving your home office a timeless rustic aesthetic. No matter the amount of books you wish to keep, Custom Creations’ custom bookcases, all fitted bespoke to your needs, can provide you with the level of organisation perfect for a productive working environment.